Dembo and Seli (2008) define procrastination very simply as the behavior of postponing a task that needs to be completed. However, other studies (Solomon & Rothblum, 1984; Rothblum, Solomon & Murakami, 1986; Kachgal, Hansen & Nutter, 2001) have found that there are significant cognitive and affective factors that also contribute to procrastination, such as anxiety related to performance on the task, feeling overwhelmed by a task, miscalculation of time needed to study, or dislike for the task. Sapadin and Macguire (1997) refer to procrastination as an “internal conflict,” in which you want or need to do something but are resistant for whatever reason. Ultimately, procrastination is a choice that you make as a student in a given situation, a choice leading to counterproductive behaviors and negative feelings in the end. Unfortunately, procrastination is an incredibly prevalent problem that impacts college students every day and can impede their ability to succeed in college (Burka & Yuen, 1983; Solomon & Rothblum, 1984). Understanding in a given circumstance why you may be procrastinating may help you determine what sorts of interventions you need to avoid repeating that behavior (see Six Styles of Procrastination for more information). Solomon and Rothblum (1984) suggest that not only do individuals need to learn appropriate time management and self-regulation skills, but also have to deal with the cognitive beliefs (i.e., rationalizations) and emotions that accompany procrastination behaviors. For instance, Burka and Yuen (1983) indicate that students who fear the consequences of failure or success or those who strive for perfection need to adjust their cognitive beliefs and implement self-regulation strategies, such as breaking large tasks down into smaller pieces and creating structured goals. Kachgal et al. (2001) recommended that learning specialists who are helping students with their procrastination issues help students consider what their personal “barriers” are to completing academic work in a timely fashion and help them problem solve with regard to those perceived barriers. Therefore, students may need to implement more than one intervention to deal with their procrastination. Sapadin and Macguire (1997) have proposed six styles of procrastination that can help students think about their cycle of procrastination. Perfectionist Wants everything to be perfect – the project and the circumstances under which the project is completed. Strive for excellence, not perfection. Avoid telling yourself that you “should” do this to make it better. 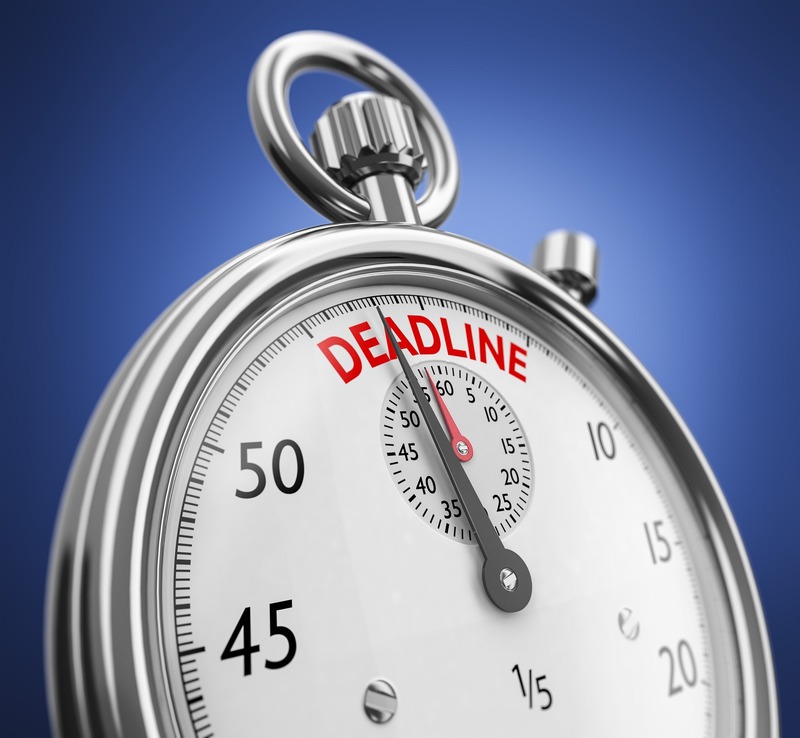 Set time limits to complete certain aspects of the task and then move on to the next task. Dreamer Hates dealing with details. Wishes he or she could get to the end result without having to do all the work in between. Set specific long-term goals and specific goals for what you want to accomplish in a given study session. Think through what you need to do, how you will do it, and set specifically when you will do it. Worrier Worries about change and constantly worries “what if.” Tends to think catastrophically. Reality check when you catch yourself making a problem into a catastrophe. When you are stressed by what you do not know, review what you do know. Break down larger tasks into smaller pieces. Celebrate when something goes well to build confidence. Crisis-maker Only gets motivated by the last minute deadline. Waits until he or she cannot delay any longer. Reality check when you catch yourself saying, “That will not take long to do” or “I can do that later.” Understand that you may not get motivated to do some until you get started with it. Defier Resents feeling that an authority is making him or her do something that he or she does not want to do. See the benefits of doing the task. Overdoer Has too much to do and has problem saying “no” to people. Gets distracted by unimportant tasks. Set daily priorities for what is most important to accomplish. Don’t be afraid to say “no ” to others. Consider your own patterns of procrastination and what strategies you might implement next time you catch yourself postponing the things you need to do to be a successful student. Use your time management tools. Create a schedule of study sessions each week. Set study goals and determine what activities you are going to accomplish at each of these study sessions. Utilize to-do lists to keep track of all of the activities you need to complete to stay caught up with a class. Set up study routines. For instance, if you have your Political Science class on Tuesdays and Thursdays, schedule yourself time to read the assigned chapters on Mondays and Wednesdays. It will help you stay current in your class. With time, it becomes a routine which is harder to break once you have done it for awhile. Conduct time reality checks. When you catch yourself saying, “I will have time to do this later,” look at your list of tasks and your schedule and determine if that is realistically true. If you catch yourself saying, “That won’t take long to finish,” really think about how long it takes to do a good job and all of the things that might impede your progress and make it take longer. Increase your motivation and interest in the work. Revisit the informational box “How Can I Get Motivated to Study?” in Chapter 4. Challenge your rationalizations. When you say to yourself, “I work better under pressure,” consider whether or not that is really true. While you may be more motivated to complete the work if the deadline is tomorrow, couldn’t you produce better quality work if you allow time to think about what you are doing? Break down projects into smaller pieces. Sometimes tasks are less daunting if you do not see them as taking a long time to do, especially if they are tasks that you do not like to do. If you have to read 30 pages of text for your history class, read 10 pages each day over 3 days. If you have a paper to write, develop a list of the steps that you need to complete to write that paper (i.e., research a topic, outline, write a rough draft, etc.) and schedule those steps to be completed over a couple of weeks. Commit to 5 minutes. Oftentimes, the dread of doing something prevents a student from starting it. Tell yourself that you commit to working on something for 5 minutes and then assess the task to determine if you are going to keep working. Typically, once students get started on it, they get into a working rhythm and finish the task. Increase concentration and decrease distractions. Keep in mind that it is harder to procrastinate if you are working in an environment where you can focus on your work and avoid interruptions. For instance, turn off your cell phone during study sessions so that your friends do not keep you from your work. Studying in a place where you do not have access to the television or computer games can also be very helpful. Organize your study sessions. Make sure you have all of the materials available that you need to study. Know your high energy times of day. It is very useful to complete tasks that you may be dreading during your high energy times of day. You will be less likely to make up an excuse like, “I am too tired to do this now” if you are studying at the time of day that you tend to feel more alert. Reinforce yourself for finishing a task. For instance, tell yourself before you start working on something that if you complete this task, you will get to spend 30 minutes doing something that you want to do. Treat your school work like a job. If you study and go to class for 40 hours a week, you will take off some time for relaxation on the weekend. Recruit social support for completing your work. Ask your friends and family to inquire how you are doing on your studying to-do list. Meet with a study group on a weekly basis to review lecture and reading notes and discuss readings. If you are accountable to others you will be more likely to have completed the work. Utilize relaxation techniques. If you find that worrying interrupts your concentration or you feel physical symptoms like stomach upset or headaches when studying, try some relaxation techniques and positive self-talk rather than just quitting. Adapted from Dembo and Seli (2008) and Cuseo, Fecas, & Thompson (2007).